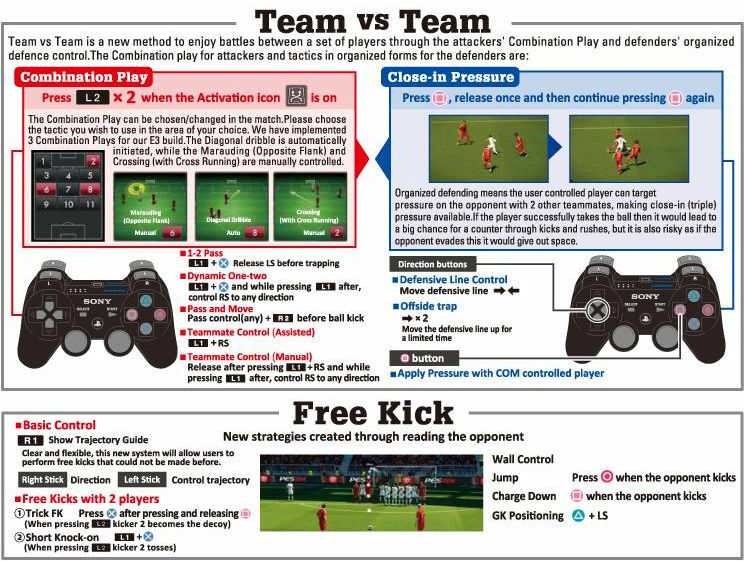 Konami today released these two control schemes showing new and old PES controls for 1-on-1 situtations as well as for Team vs Team. The 1-on-1 part of the control schemes shows how to use the new body weight shifts, which can be controlled using the right stick, as well as a new 'speed burst' control which works pressing R1 twice. 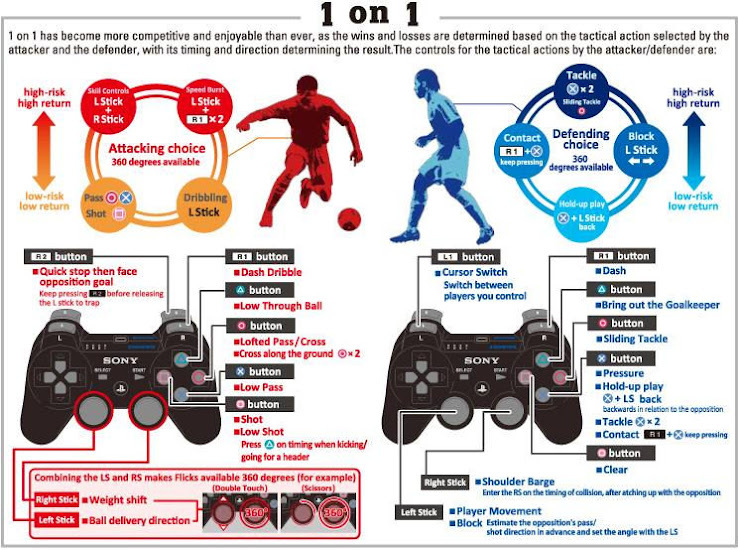 There is also the possibility to make a low shot by pressing the shooting button and by pressing the triangle button when the player is about to kick the ball. On the Team vs Team control scheme we can see the new Combination play and Close-in pressure features. The combination play feature can be used both manually and be enabled automatically, according to user settings, apparently. Defensively, it will be possilbe for players to move the defensive line with the D-pad as well as enabling a limited-time offside trap by pressing the D-pad to the right twice. This sheet also shows the Free kick trajectory guide, which could be seen in the PES 2014 Game Features Trailer and which was not liked by everyone. For freekicks, it will also be possible to adjust the goalkeeper's position by holding triangle and moving him with the left stick.